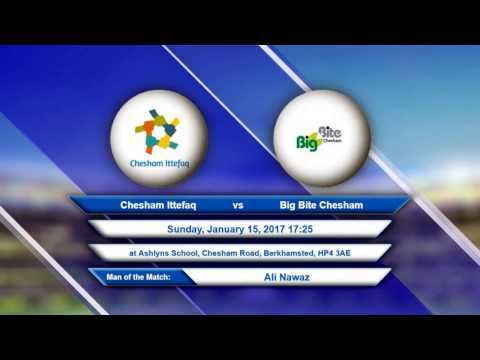 Second fixture was between Big Bite and Chesham Ittefaq. Big Bite won the toss and decided to bat first. They made a pretty average star when the openers only managed 20 runs in the first partnership. The 2nd and 3rd partnerships were a bit better but history was re-written in the 4th partnership when Ali Nawaz from Watford walked in to bat. He took the Chesham Ittefaq team to the cleaners single handedly. He kept the strike throughout the partnership and scored an astonishing 71 runs in 20 balls. Incredibly he only hit one 7 in the innings of 71. Overall he hit 12 boundaries in the 20 balls he faced. Big Bite finished their innings on 218 runs. 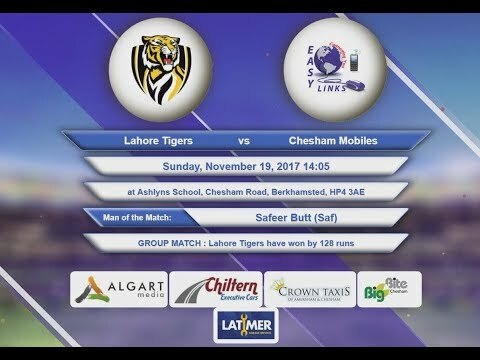 Chesham Ittefaq started their innings and were left red faced when Amir Akram took 4 wickets in the very first over, including a clean bowled hat-trick. The Ittefaq score after he first over was minus 17. Big Bite kept taking wickets on a regular basis and had taken 29 wickets by the end of the innings which included 3 hat-tricks by their bowlers. None of the Ittefaq batsmen were able to trouble the corer much and other than their captain, Zameer, all the other batsmen either scored 0 runs, or below. They scored an embarrassing 5 runs in their 20 overs and handed the biggest margin victory of the season to Big Bite. The Man of the Match was Ali Nawaz with a huge difference of 80 runs after he also picked up 5 wickets.